Get behind the wheel of a new luxury SUV that's in a class all its own by financing or leasing a new 2019 Lexus NX 300. Our Lexus dealership near Philadelphia, PA, has a stunning selection of 2019 NX SUVs for sale, and we want you to experience the ride of a lifetime. Compare the new Lexus NX to competition like the 2019 Acura RDX and you'll quickly see why so many Pennsylvania drivers turn their trust to this Lexus SUV. Schedule a 2019 NX test-drive now! The new 2019 Lexus NX SUV is the complete package for Philadelphia drivers who refuse to settle for second best. Move into the 2019 NX interior and you'll be blown away by premium materials and advanced entertainment technologies that make this SUV stand out from rivals like the RDX. Not only does the new NX cost less than the RDX, but if offers luxurious amenities like available genuine wood interior trim and a genuine wood-trimmed steering wheel. 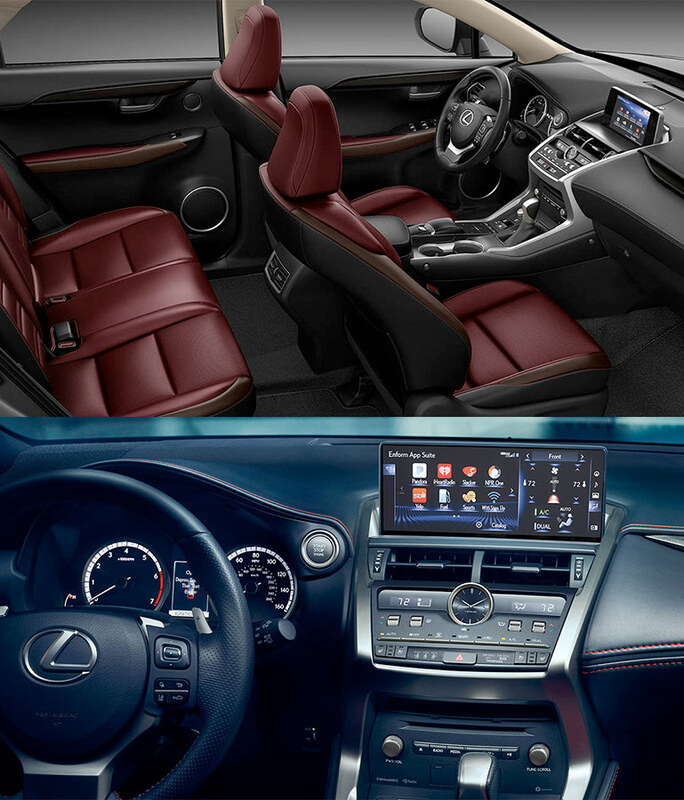 Plus, with perks like optional perforated leather-trimmed seats, heated and ventilated fronts seats and the Lexus Memory System, the NX makes it easy to relax and enjoy the experience. Add in the optional Lexus navigation system with a 10.3-inch high-resolution split-screen multimedia display and you'll be able to get up-to-date traffic and weather information, 3D city views and more! Compare the 2019 Lexus NX to competition like the Acura RDX all you'd like, then come apply for financing or view Lexus NX lease options at Wilkie Lexus when you've made up your mind. Come buy or lease a 2019 NX near Philadelphia, PA!